The CSU-Pueblo Music Department is once again thrilled to welcome Dr. Lily Zhang, the foremost soprano in China, back to our university, where she reprises her role of Visiting Professor of Voice. CSU-Pueblo is again honored to have with us world-renowned artist and devoted educator Lily Zhang! Lily Zhang was catapulted into China's opera scene with her successful debut as Fanyi in the Chinese opera “Thunderstorm” at the Shanghai Opera House as part of the 2001 Shanghai International Spring Music Festival. The leading role of Fanyi was chosen by audition from hundreds of opera singers from conservatories of music and opera houses throughout China. In January of 2012, Lily gave a very successful concert with American baritone Richard Zeller and the Talich Chamber Orchestra of the Czech Republic in Prague New Year’s Concert. The President of the Czech Republic attended the first concert; both the American and Chinese Embassies in Prague sponsored the second concert. Lily's voice is filled with operatic passion and fire, and is equally adept with delicate and lyrical art songs which are enjoyed by her fans worldwide. Performing a wide range of repertoire including most of the heroines, including numerous performances of the Bel Canto pinnacle role of Zerlina in "Don Giovanni", Liu in "Turandot", Mimi in "La Bohéme", Cho-Cho-San in "Madame Butterfly", Exsultate Jubilate by Mozart, "Choral Fantasy" and "Symphony No. 9" by Beethoven, "Knoxville: Summer of 1915" by Samuel Barber, and more than 1,000 voice performances of Chinese opera, art songs and folk songs. Lily also put on an Opera Scenes and Chinese folk music recital with her students in CSU-Pueblo’s Hoag Hall in October of 2014. 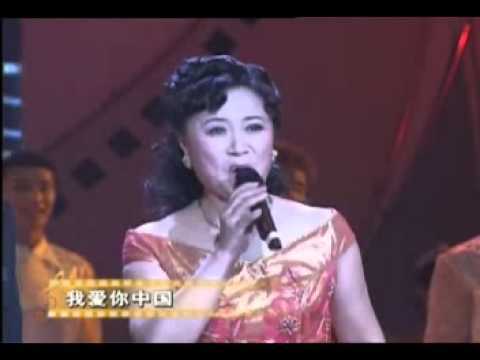 Lily is the first soprano to win the grand title "Top Ten Singers in China" three times. She is the first Chinese voice professor to be recognized by William Penn University, Lincoln University, and Bellevue University, from which she received honorary doctorates degrees. She was the first Chinese artist to win the Super Star Halo Award from the Southern California Motion Picture Council; The first Chinese artist awarded the Certificate of Commendation by U.S. Congresswoman Dr. Diane E. Watson; She was also honored to be the first singer that the President of China accompanied on the piano. Lily is the first Chinese soprano invited by the China State Center for Performing Arts in Beijing to have her solo recital and master class there. October 3rd, 2008 was named as “Li Zhang (Lily) Day” in the City of Southfield, Michigan, USA. Dr. Zhang is the recipient of hundreds awards and prizes from in China and throughout the world. As a Chair and professor, Dr.Lily created the Department of Opera & Chorus in Sichuan Conservatory of Music in China. Lily is a Chinese soprano and voice professor in residence at Colorado State University-Pueblo, Colorado, United States, and an International Ambassador between China and the United States. Renowned Chinese voice professor Dr. Qihui Wu , declared Lily’s CD recorded in 2009 presented the best soprano in the world, today’s Maria Callas. CSU-Pueblo is excited to have the world-class talent and dedication to student success embodied by Professor Lily Zhang!